Let Tomato Pie cater your next dinner event! 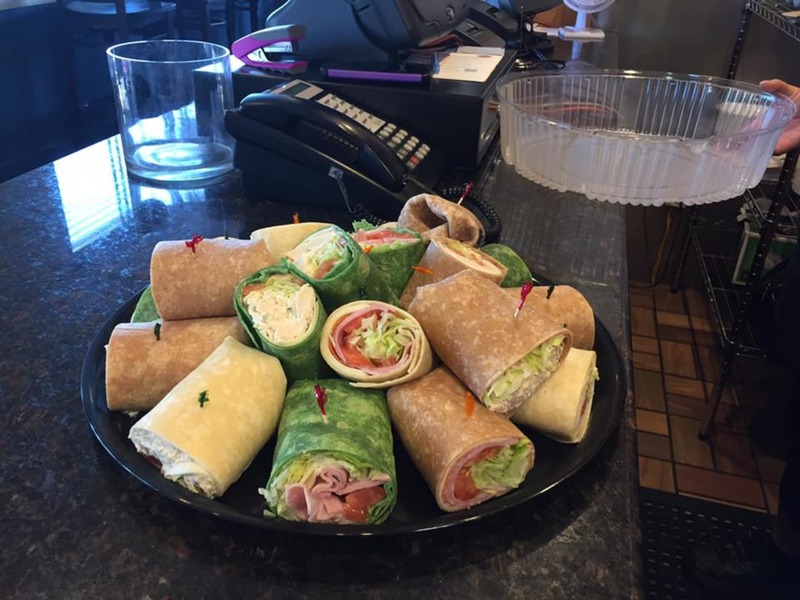 With a full catering menu featuring lunch and dinner plus more than 25 years experience servicing Central MA, we will bring the highest quality food and service to your next event. Garlic crostinis topped with sliced tomatoes, fresh buffalo mozzarella, basil and olive oil. Carrots, celery, broccoli, and red peppefs served with sour cream dip. Arborio risotto tossed with a blend of four dwesesand prosciutto; lightly breaded and fried golden brown served with a zesty marinara dipping sauce with shaved asiago cheese. Mesclun greens with almonds, crumbled blue cheese, pita croutons, and sliced apples tossed with balsamic vinaigrette. Mesclun greens with grape tomatoes, pita croutons, cucumbers, red onions and fresh buffalo mozzarella in a homemade balsamic vinaigrette. Garden salad with feta cheese, pita croutons, and a homemade lemon-mint olive oil dressing. Romaine and Iceberg mix, chopped with red onions, cucumbers, tomatoes and bacon with crumbled blue cheese with a creamy balsamic vinaigrette. Sauteed chicken filets and brocoli florets tossed with penne pasta, crushed red pepper and parmesan cheese in an olive oil / garlic sauce. Sauteed chicken filets and spinach tossed in a tomato cream sauce with penne pasta. Sauteed seasonal vegetables in an olive oil/ garlic sauce with crushed red pepper tossed with parmesan cheese and penne pasta. Lightly breaded eggplant, layered with marinara, mozzarella and parmesan cheese. Stewed tomatoes, fresh basil, olive oil and garlic, tossed with parmesan cheese and penne pasta. Sauteed chicken filets and fref, spinach tossed in a cracked black peppercorn and tomato cream sauce with cheese filled tortellini. With marinara sauce or tossed with olive oil and garlic. With marinara or tossed with olive oil and garlic.